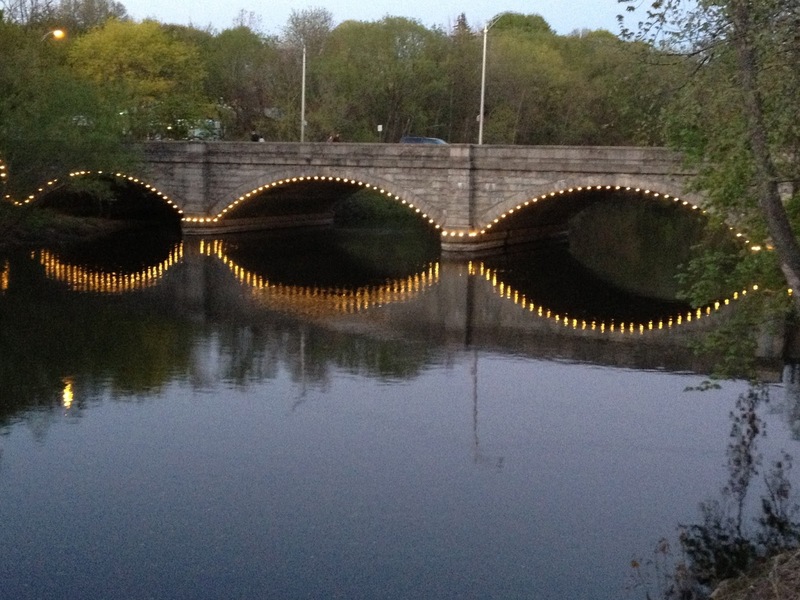 Abernathy Lighting Design was asked to create a simple yet powerful lighting concept for the Roosevelt Bridge that crosses the historic Blackstone River in Central Falls. With limited to no budget ALD created a photo shop image and performed a one night simple mock-up. Saturday night May 4th, 2013 - Dr. Robert Billington of the Blackstone Valley Tourism Council presented the first ever bridge lighting ceremony over the historic Blackstone River. 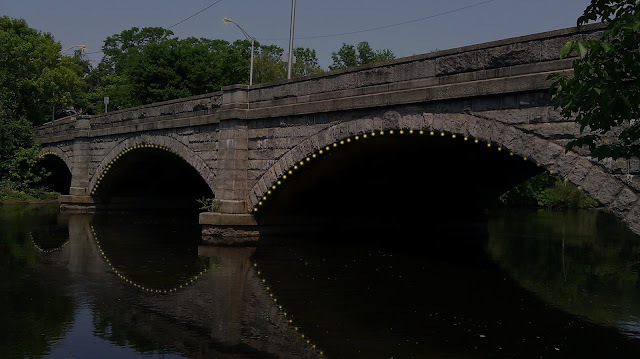 This was done in conjunction with the 2013 Rhode Island Cherry Blossom Festival, which celebrates the ongoing urban revitalization of the Blackstone River Valley industrial corridor of Pawtucket & Central Falls, and is a statewide signature heritage and Asian cultural event. Abernathy Lighting Design is very pleased to have helped Central Falls RI bring back a little "sparkle" to the Blackstone Valley!